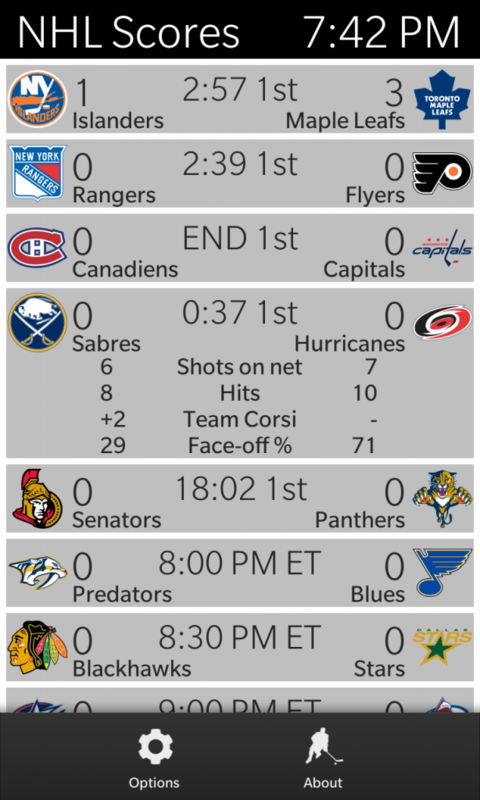 The Hockey Scores app has been updated so that it will continue to work. After an unexpected change to the API the app had stopped working, but this update restores the scores. This application provides the day’s hockey scores is an intuitive and easy to use format. It also includes additional game statistics such as start times, goal scorers, shots on net, hits, faceoff percentage, and lists out the goal scorers. The app supports BlackBerry 10 phones running OS 10.1 or higher, and BBOS phones running OS 6.0 and higher. Support for BlackBerry 5 has been ended.